Around the Texas wine country, harvest season is like running a marathon while sprinting the entire way. It’s a non-stop, around the clock job and it takes a village to make it happen. Sampling grapes, maintaining the vineyards, picking at all hours of the day and night, pressing, crushing, barreling down, and coordinating all the receiving and processing of over 300 tons of fruit is no small feat. One might be inclined to think that harvest season is all about picking the fruit and managing our winemaking process, but it’s about so much more than that. It’s about community - the people that put their all into delivering you a remarkable vintage. That’s why we want to share with you the faces of the Texas wine harvest at William Chris Vineyards. Meet David Eckhardt of Eckhardt Trucking, Inc.
Running logistics for shipping and receiving hundreds of tons of grapes is an often overlooked but critical piece of our operation. 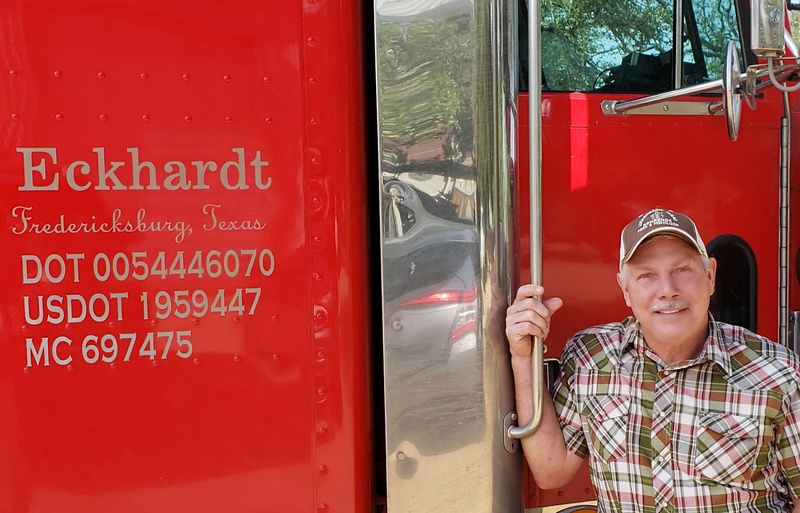 Since the very beginning of William Chris Vineyards, we’ve relied on David Eckhardt and Eckhardt Trucking Inc. of Fredericksburg, Texas, to help us haul our grapes from the vineyard to the winery from all corners of our enormous state. There is never a dull moment, during harvest we’re always on the go. William Chris Vineyards is one of many that we service, but we handle William Chris shipments first because our relationship goes so far back - we’ve supported one another since “day one” of William Chris. I’m more of a beer guy myself, but if I were to choose a favorite then I’d look for a nice, dry red wine. Enchanté from William Chris is one of my favorites for a special occasion. David said that’s a tough one because, “no two days are exactly alike.” He says, if you’ve ever heard a song “Roll On (Eighteen Wheeler)” by Alabama - the lyrics sum it up pretty well. We are so grateful for David and the team of truckers at Eckhardt. We would not be where we are today without you! Cheers to finishing harvest 2018 strong - we’re already halfway there. In honor of David...we give you, Alabama! 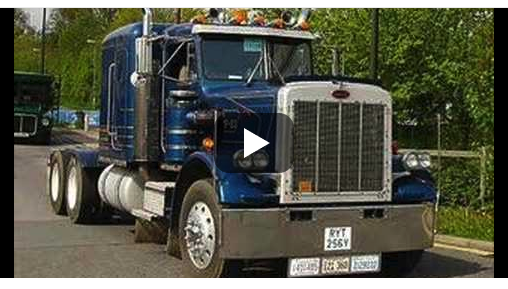 YouTube: "Roll On (Eighteen Wheeler)"